The compatibility view in Internet Explorer (IE) was created to accommodate websites that were designed for earlier versions of IE browsers. The new ADGA.org does not need compatibility view enabled, and in fact, if you are using it, you may experience blank screens for pages under Member Services, such as View Account and Goat Lookups. 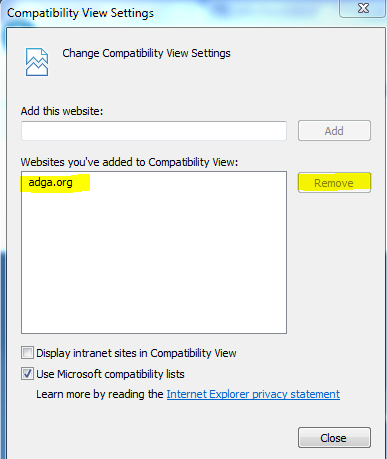 So, you will need to remove ADGA.org from IE’s compatibility view . 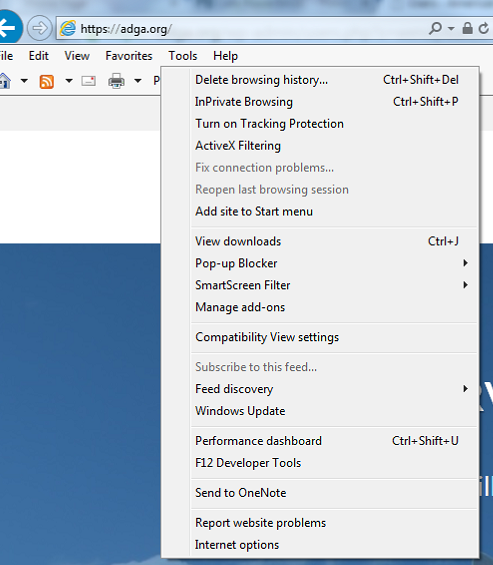 You can use your Help button in IE to see steps for removal, or see the following notes for most versions of IE.